Sometimes it is nice to take a break from chocolate and go for a tart-sweet lemon dessert. 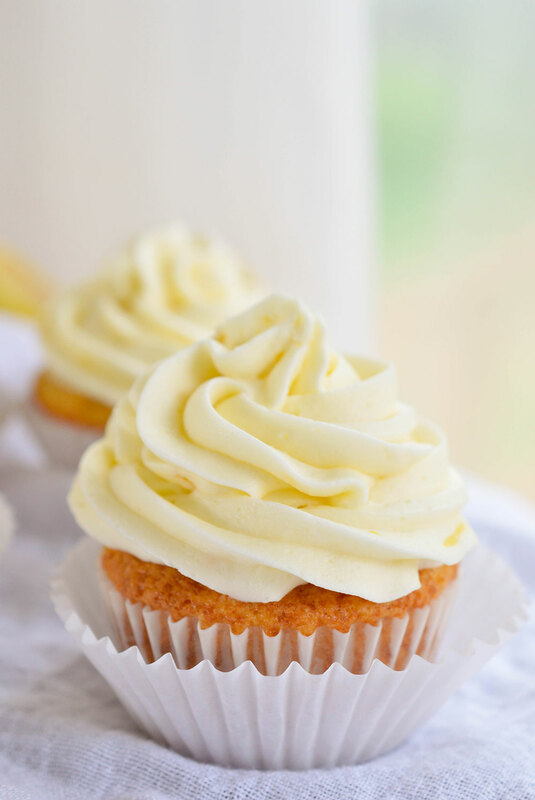 These Easy Lemon Cupcakes are topped with Creamy Lemon Buttercream Frosting. 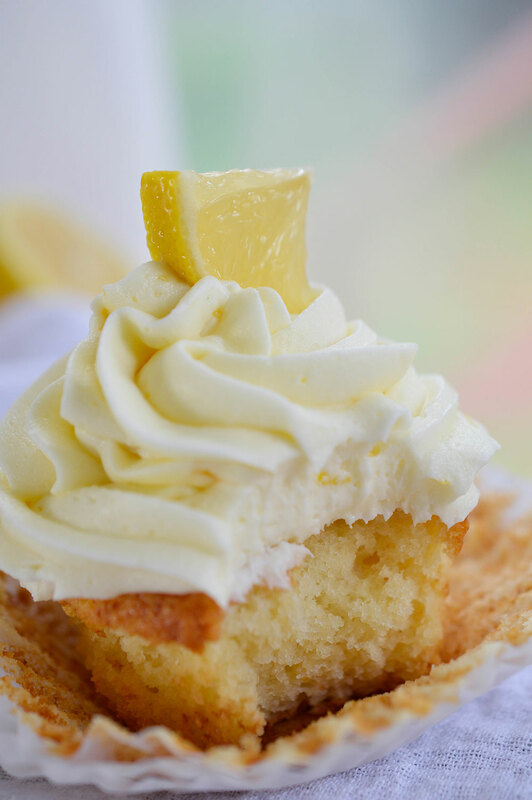 The mild lemon flavor comes from Lemon Crème pie filling and fresh lemon zest. Lemon, Creamy and Oh So Dreamy! Really, I would have a hard time choosing between chocolate and lemon desserts. I love them both! Luckily I don’t have to choose. 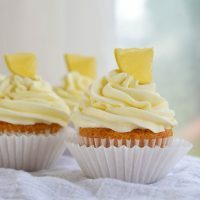 These easy lemon cupcakes came about when I found a can of Duncan Hines Lemon Crème Pie Filling hiding out in my pantry. I decided to use it to make cupcakes instead of pie. 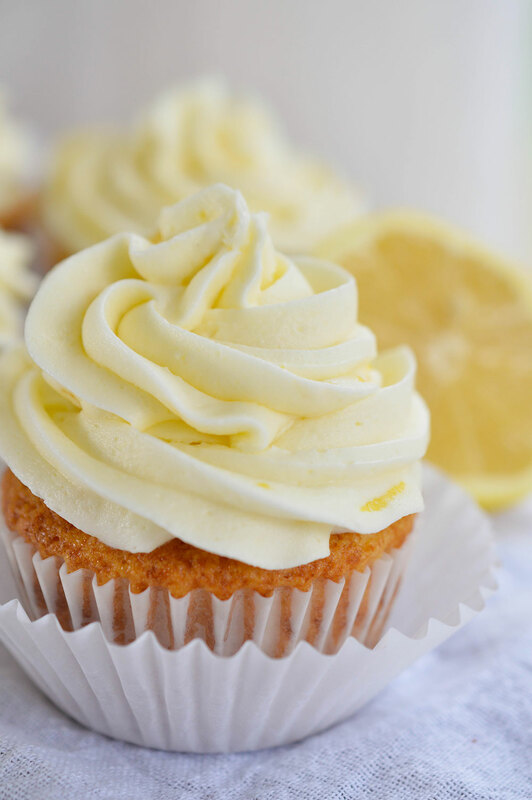 If you are craving dessert with a hint of lemon, make a batch of these cupcakes! 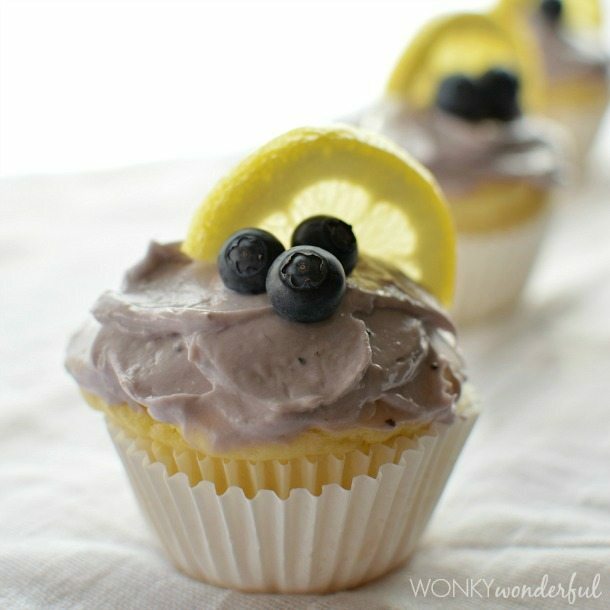 They are moist and creamy with a touch of lemon flavor. Add eggs, milk, pie filling and vanilla. Mix. Divide batter between 12-14 cupcake tins lined with papers. Transfer cupcakes to cooling rack. 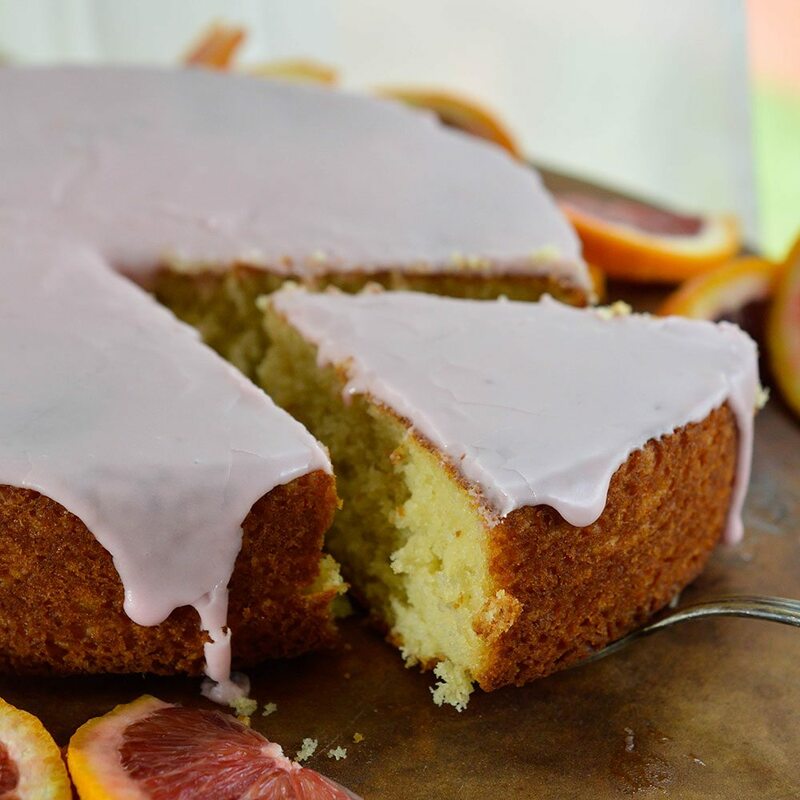 Allow to fully cool before frosting. 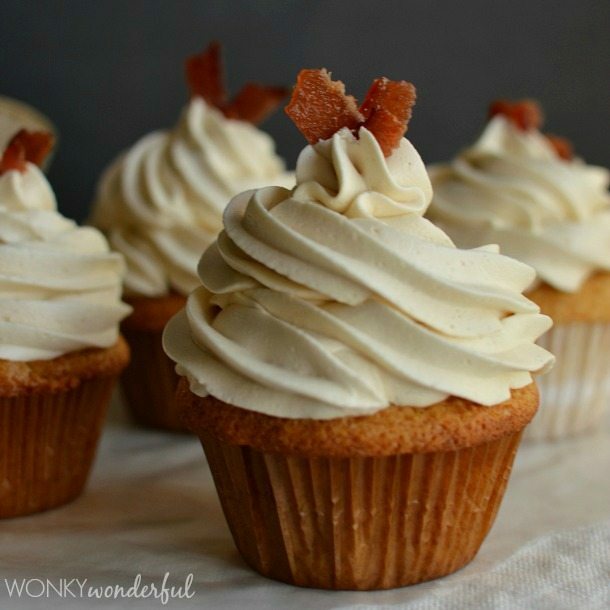 Refrigerate for 30 minutes before frosting cupcakes. Eat More Cake . . .
What a beautiful, sunshiny cupcake! Love how you flavored it with the pie filling. Thanks for sharing my pancakes. These look beautiful – i can never seem to get piping quite right (but that probably because i am doing it dairy and sugar free:)!) 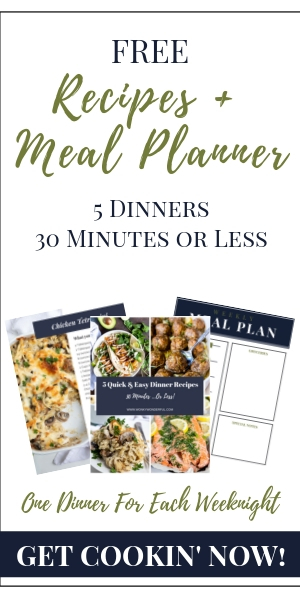 Just cam across you site and look great – its making me very hungry….